Jenny Kane is the author of the full length romance novels Another Glass of Champagne (Accent Press, 2015), Abi’s House (Accent Press, 2015), the contemporary romance/medieval crime time slip novel Romancing Robin Hood (Accent Press, 2014), the best selling contemporary romance novel Another Cup of Coffee (Accent Press, 2013), and its novella length sequels Another Cup of Christmas (Accent Press, 2013), Christmas in the Cotswolds (Accent, 2014), and Christmas at the Castle (Accent, 2015). 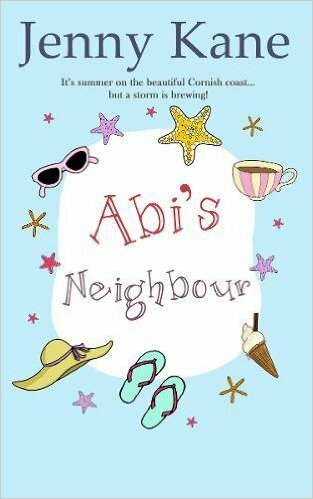 Jenny’s sixth full length romance novel, Abi’s Neighbour, will be published in May 2017. 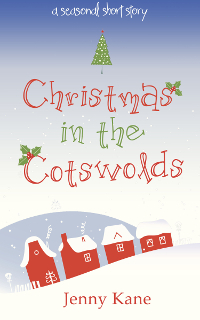 Izzie closed her eyes and counted to ten as the door of the Cotswold Arts Centre slammed shut. There was no point in panicking. She simply didn’t have time for such luxuries if her converted church was going to be ready to host a Christmas carol concert by the renowned Cotswold Choir in nine days’ time. Bored of being propositioned by men who weren’t remotely interested in her until they discovered she was a daughter of the gentry, Izzie had ejected the carpenter through her front door before he’d quite had time to work out just how insulting her rejection of his latest lurid suggestion was. Now, her hasty tongue having deprived her of a desperately needed pair of tradesman’s hands, Izzie sat with a heavy thump onto the nearest pew. She knew she had to find fresh help, and fast. A task that wouldn’t be easy so close to Christmas. Reaching for the offending package of invitations that had arrived by courier first thing that morning, Izzie emptied it onto the table. The invitations were supposed to have been posted by now. As soon as she’d seen them, Izzie understood why her mother had left them to the last minute. 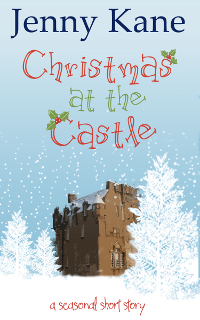 Unfussy, cost-effective, and with a medieval Christmas flavour in keeping with the spirit of the converted fourteenth-century church where the concert was to be held. That’s what she’d asked for. What she’d got was decadent Victorian-style gold-edged invitations which weighed so much, Izzie was sure that posting them alone would break the bank. And if that wasn’t bad enough, her mother had done the one thing that she had expressively forbidden. She’d put Izzie’s full name on the invitations. Lady Perdita Spencer-Harris had been unable to comprehend why her daughter didn’t want to use the family name to help sales. She simply didn’t understand that Izzie wanted people to come to hear the choir for its own sake, or because they wanted to see what she’d done in her art centre; not because she was a young and single female member of the landed gentry. Wrapping her stripy woollen scarf more tightly around her neck, Izzie breathed warm air over her cold fingers. Deciding it wasn’t cost effective to heat the church this late at night just for her, she gathered up the invitations, and with one last check that the polythene sheeting would keep the rest of her chancel roof in place overnight, Izzie headed home. Izzie scooped up three Christmas cards from her doormat. A smile replaced her frown as she opened the first envelope to see a cartoon robin wishing her a Merry Christmas. Inside, beneath the seasonal greeting, her friend Megan had written Must meet up SOON! I’d love to see your new art centre. 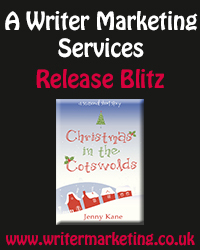 Switching on her laptop, Izzie started to hunt for a replacement tradesman to help repair her church roof. Half an hour of searching later, and her quest was looking increasingly hopeless by the minute. It was no good, if she wasn’t going to be forced to ask her parents to bail her out – which was an ‘over her dead body’ situation as far as Izzie was concerned – she needed alternative assistance. Izzie picked up her mobile before guilt at disturbing her friend’s life at Christmas overtook her. 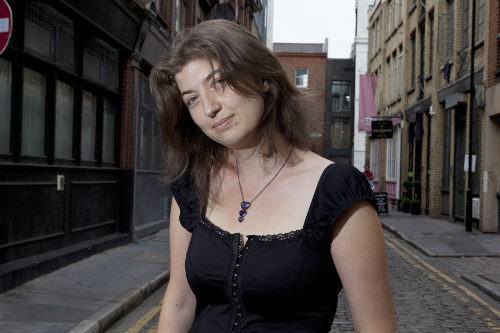 Jenny’s next full length novel, Abi’s House, will be published by Accent Press in 2015.